We are the ideal choice amongst our clients offering best quality Chandni Whitening Soap in the market. 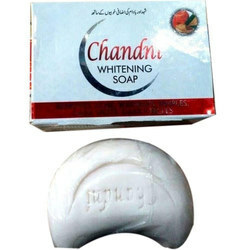 Chandni Whitening Soap Effective to Removes Acne, Wrinkles, Pimples, Dark Spots, Dark Circles. 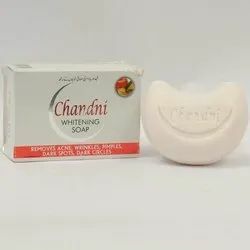 Before using Chandni Whitening Cream wash your face properly with Chandni Whitening Soap/Chandani Face wash.
Chandni Whitening Soap is Effective to Remove Acne, Wrinkles, Pimples, Dark Spots, and Dark Circles. Before using Chandni Whitening Cream Wash Your Face Properly with Chandni Whitening Soap for Good Results.